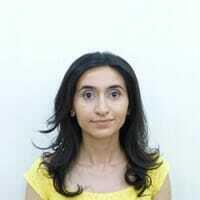 Meline Harutyunyan is Gold Rate’s Senior Data Auditor. A skilled analyst, Harutyunyan brings to Gold Rate solid experience of managing complex projects within fast-paced business environments. With a background spanning data, business and financial analysis, qualified accountant Harutyunyan also has a background in all aspects of accounting including account reconciliations, payroll, general ledger and financial reporting. Before joining Gold Rate, Meline worked at Grant Thornton as Auditor; a role that saw her work within tax preparation, customer service and problem resolution, budgeting, financial analysis, general ledger, account reconciliations, payroll, accounts receivable and payable and financial reporting. Meline has also worked as Business and Data Analyst for Germany based Backendweb UG; a role that saw her carry out exploratory data analysis on different metrics to gain insights, prepare data for predictive modelling, and summarize and visualize datasets using appropriate tools. Prior to her roles at Grant Thornton and Backendweb UG, Harutyunyan worked as Project Coordinator at the National Center for Professional Education Quality Assurance (ANQA); a position that saw her coordinate international projects, manage key relationships with national and international partners, and prepare financial and data analyses. During her time at ANQA, Harutyunyan worked on the development of feedback tools and improvement measures in relation to customer satisfaction, as well as carrying out procurement processes. Meline Harutyunyan earned an M.B.A in Management, graduating from Armenian State University of Economics in 2011.